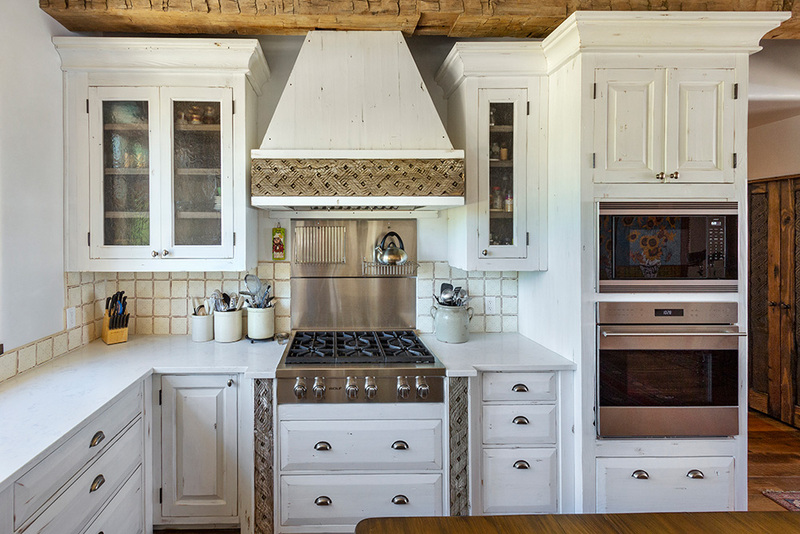 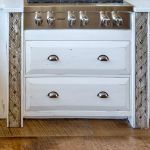 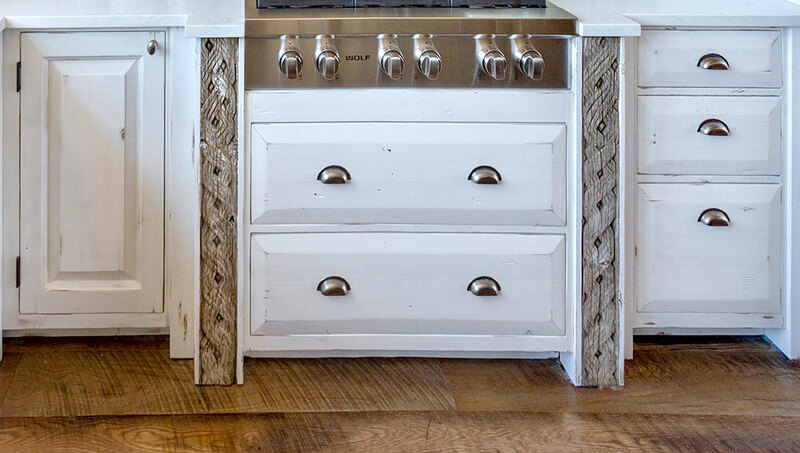 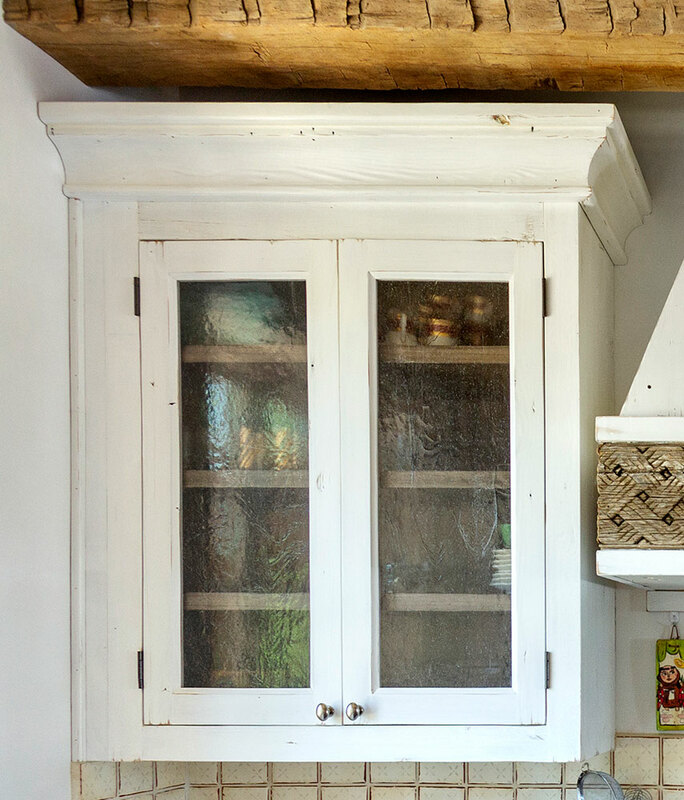 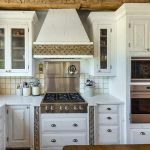 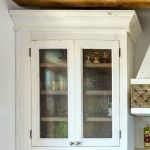 These white country kitchen cabinets are made using salvaged lumber. 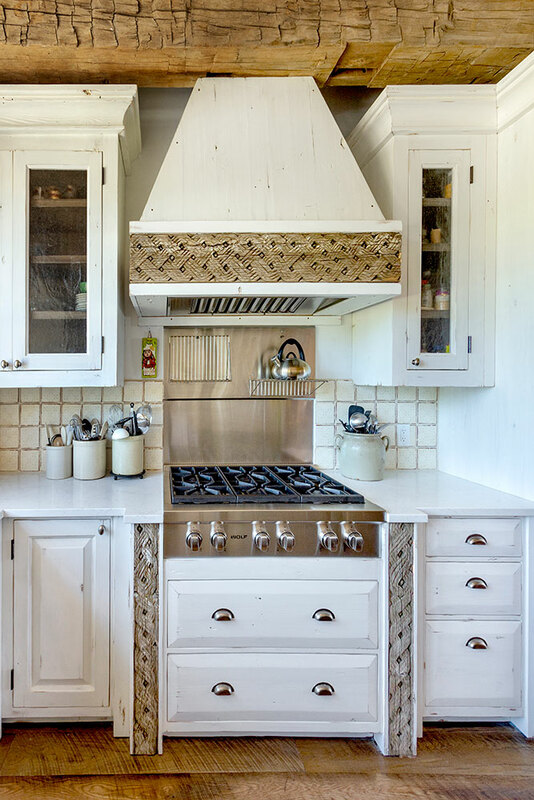 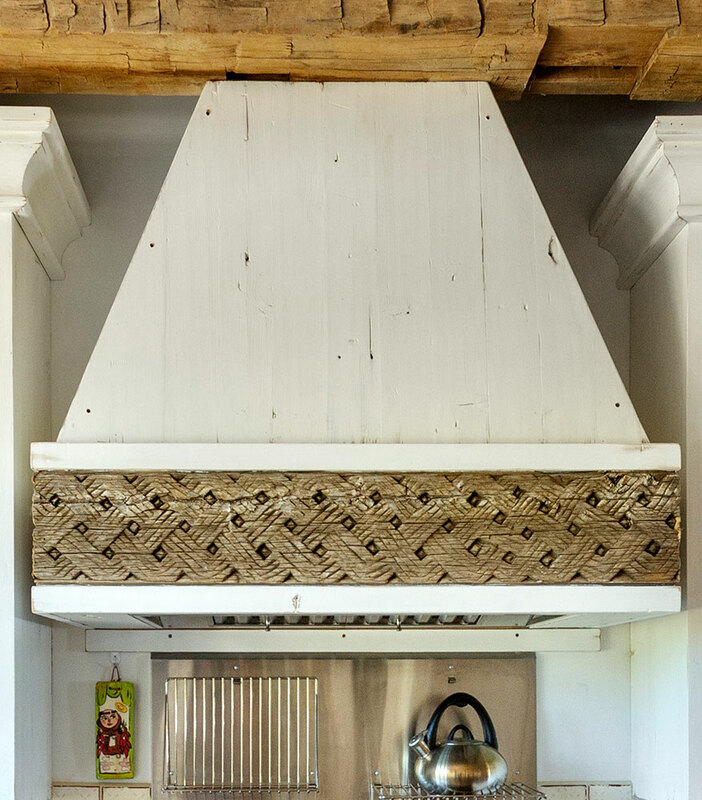 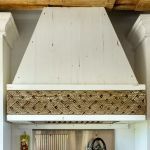 The stove hood and side cabinets are accented with antique Nuristani carved panels. 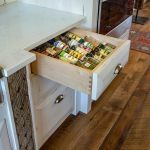 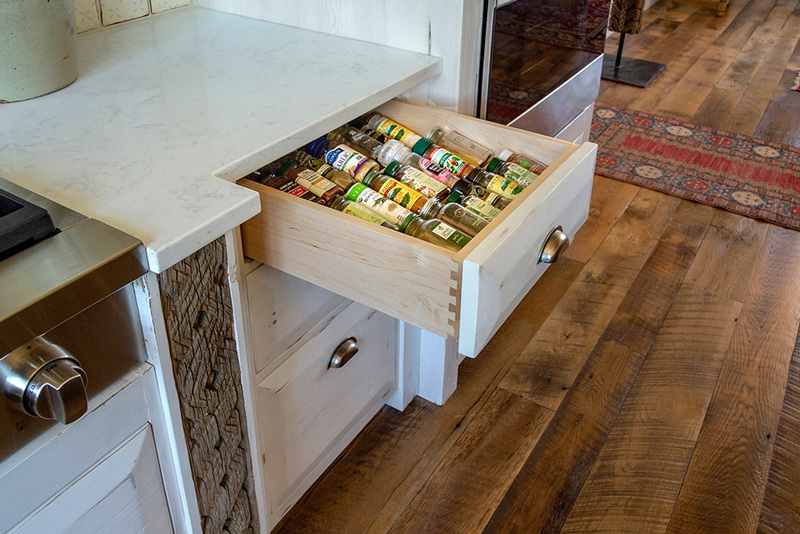 The cabinet doors are set with bubble glass and there is a pull out spice drawer.